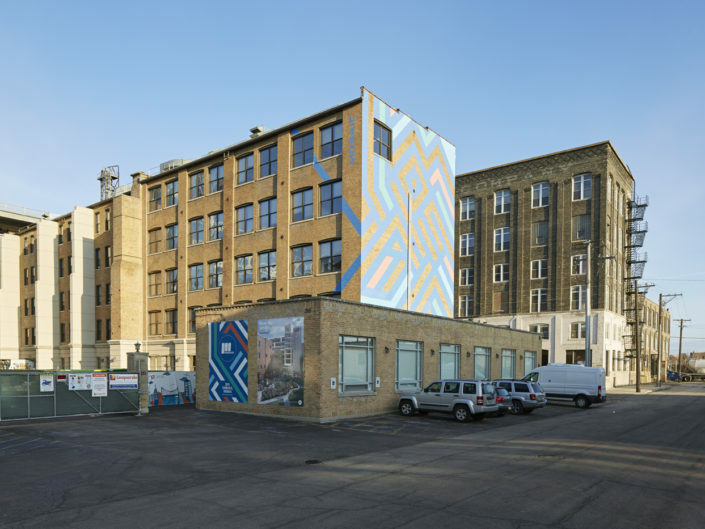 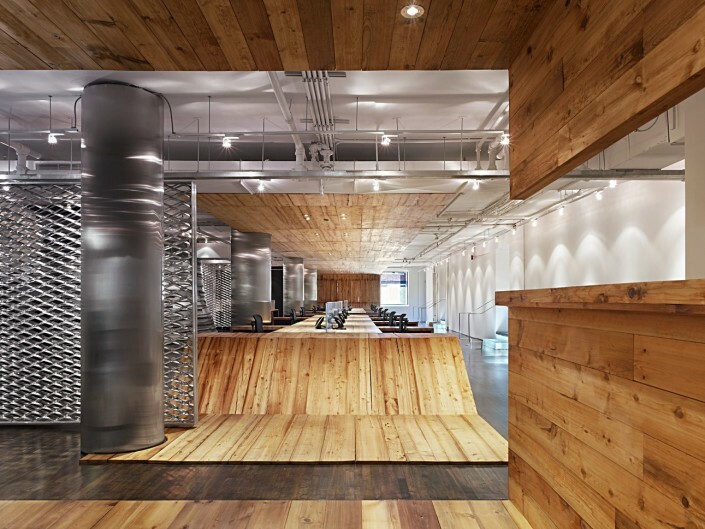 The design solution was to create a workplace of choices–a series of communal hubs varying in size and experience from coffee bars and lounges to bleacher seating and communal tables, which foster a unique sense of community and spontaneous interactions. 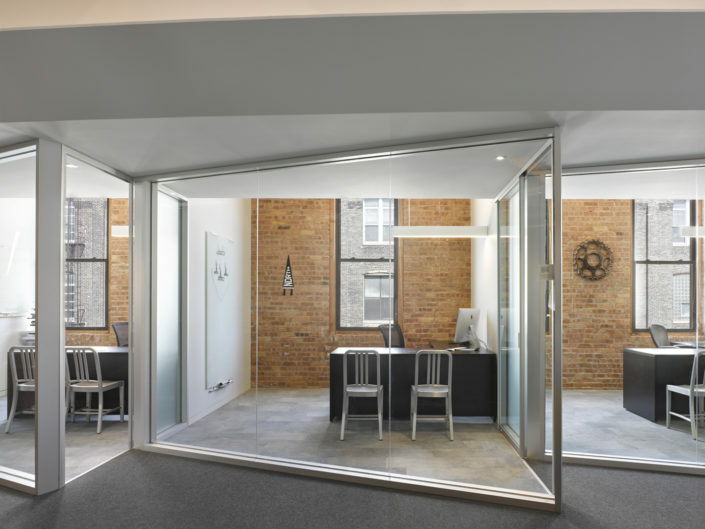 These communal hubs can be found on all floors and are areas of retreat from private offices and open workstations. 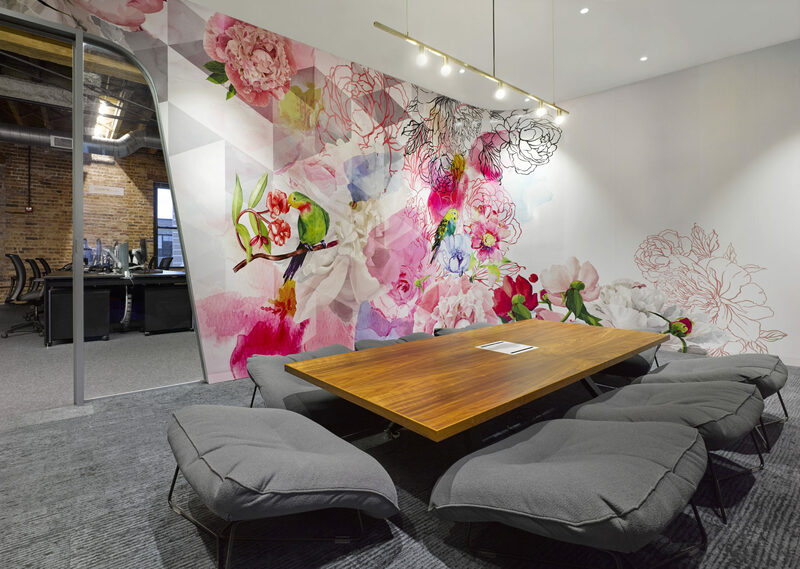 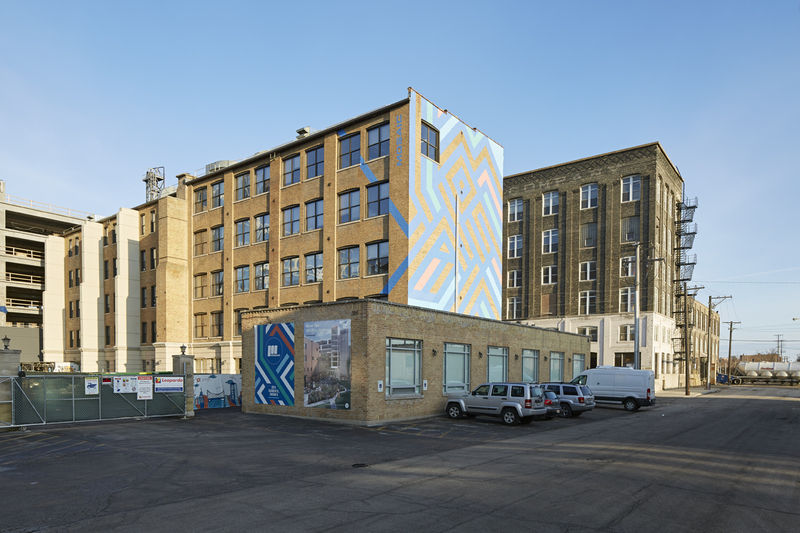 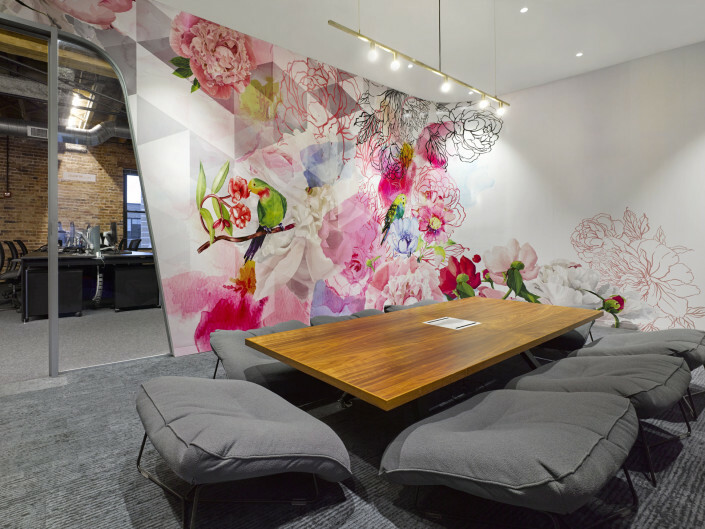 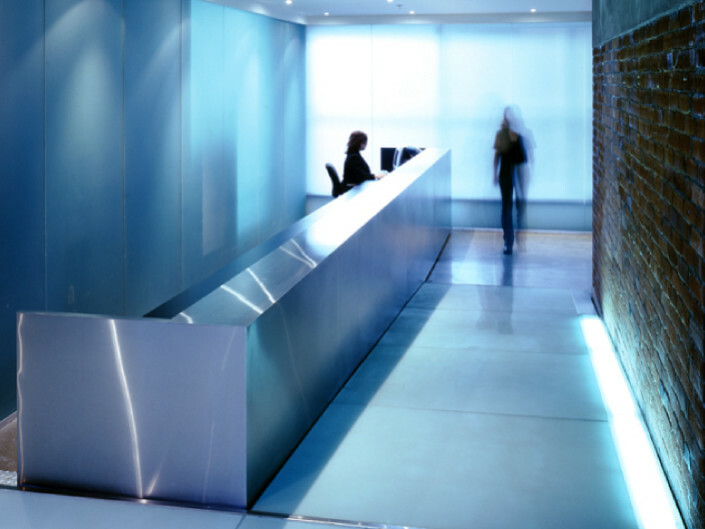 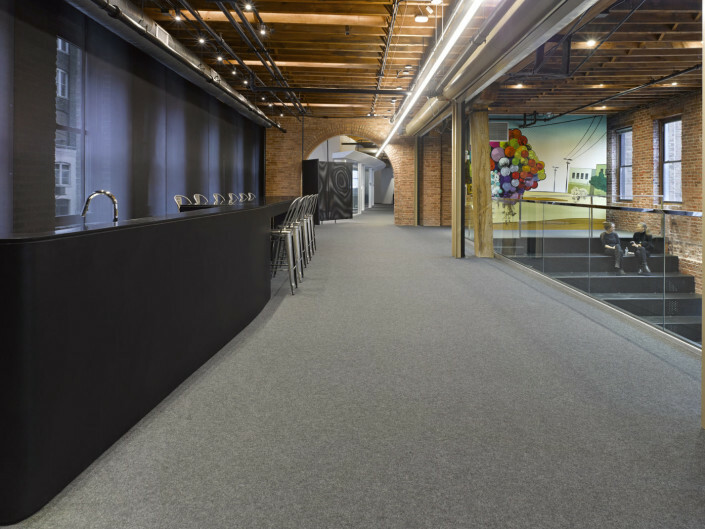 Mosaic’s unique sense of Community and Culture is conveyed and most apparent when one first enters the office. 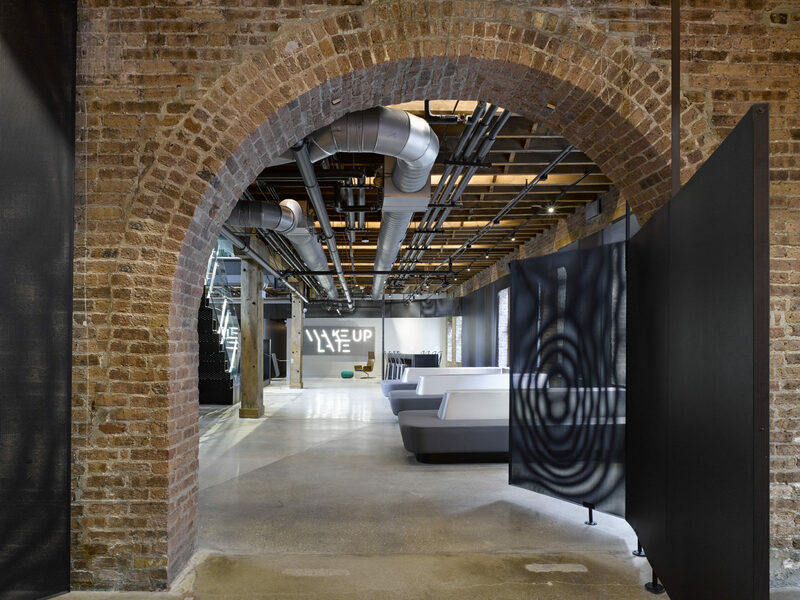 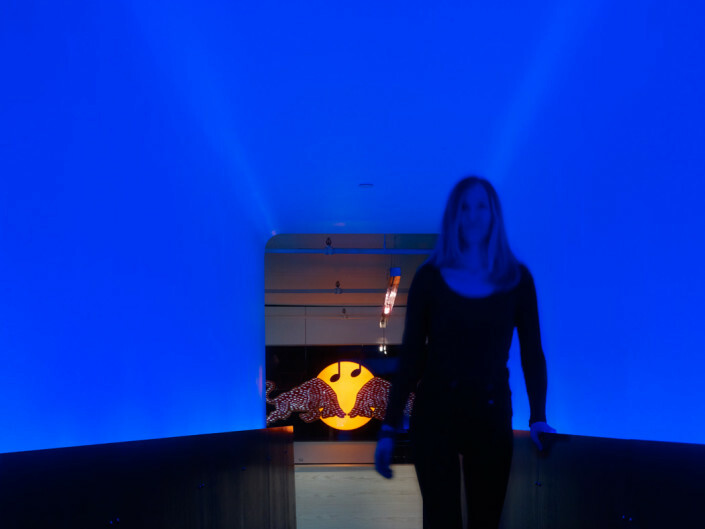 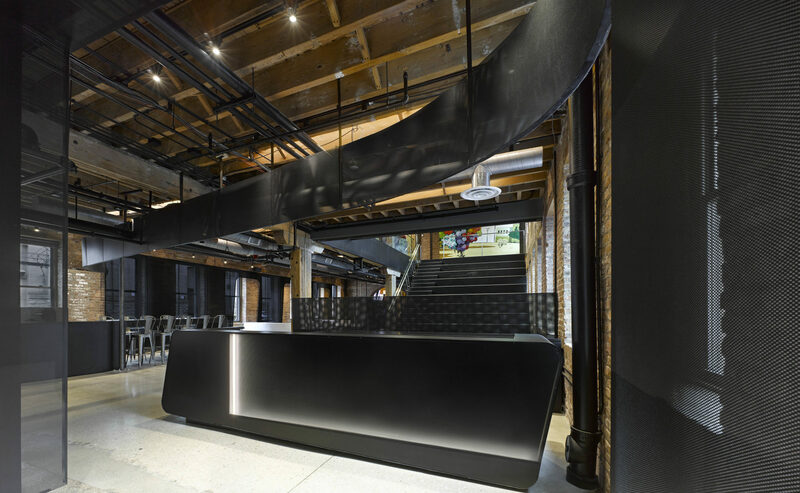 One enters through a black mesh tunnel and flows, directed and alongside the mesh, past the reception area into an open area containing a long bar and lounge seating that appears as if it was folded down from the mesh screen to create the voids that remain. 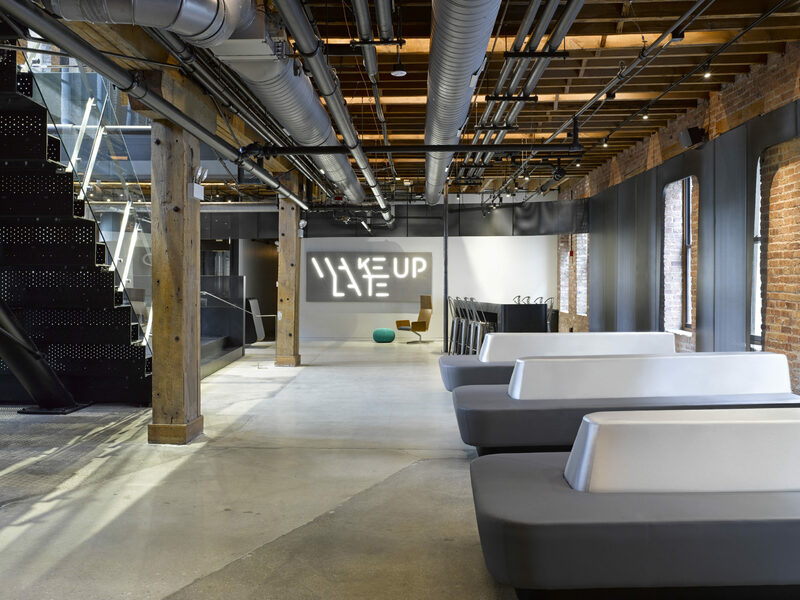 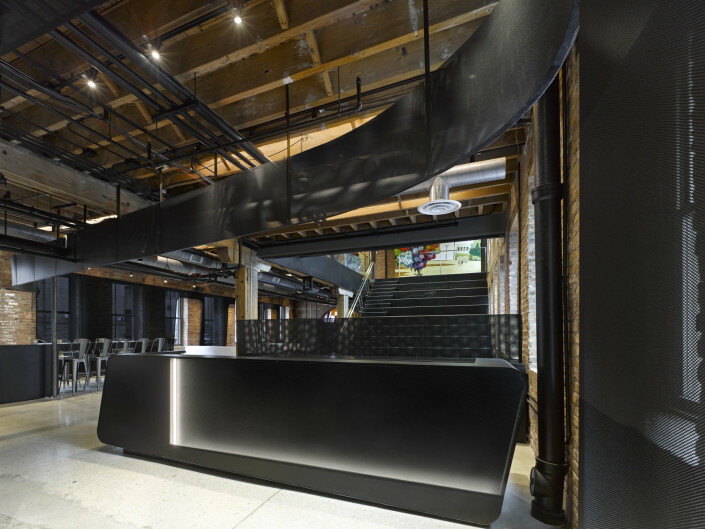 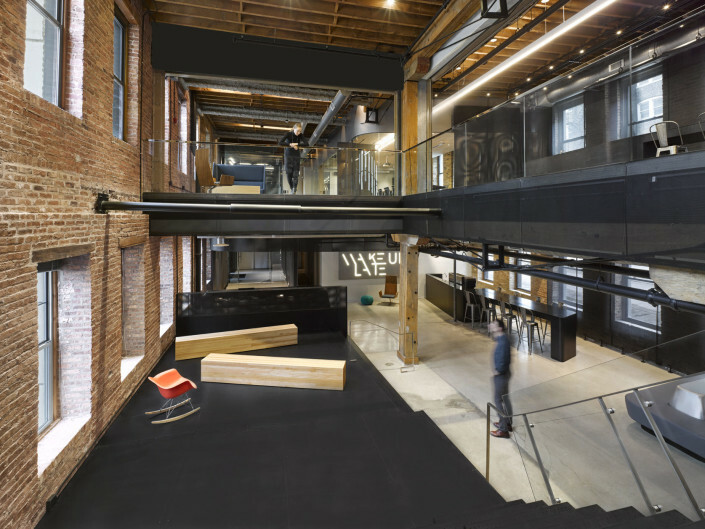 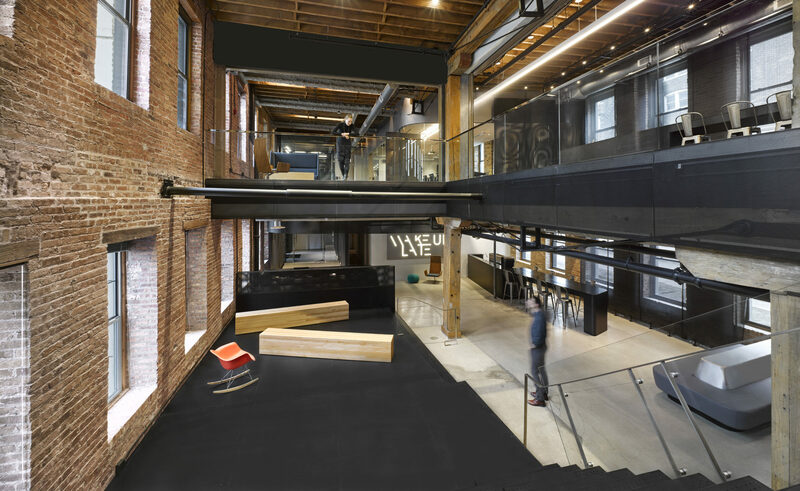 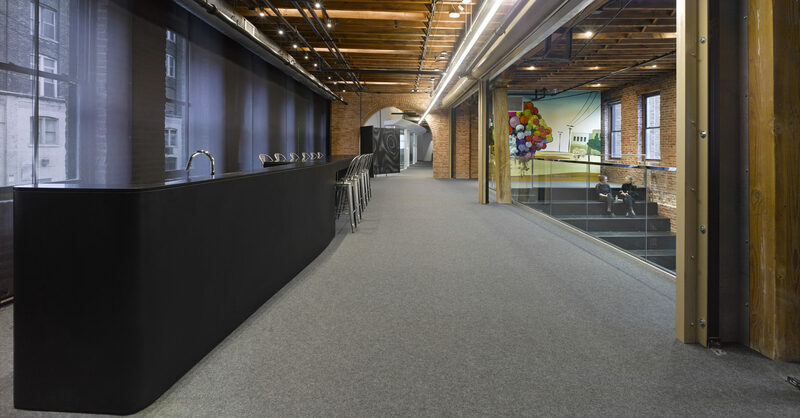 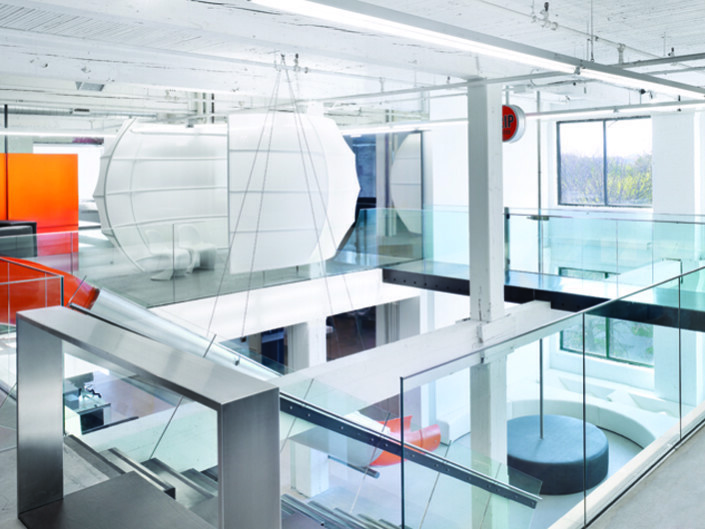 To the right, connecting the ground and second floors, a black mesh staircase composed of bleachers is an area for retreat, individual work, or space for presentations and other office gatherings. 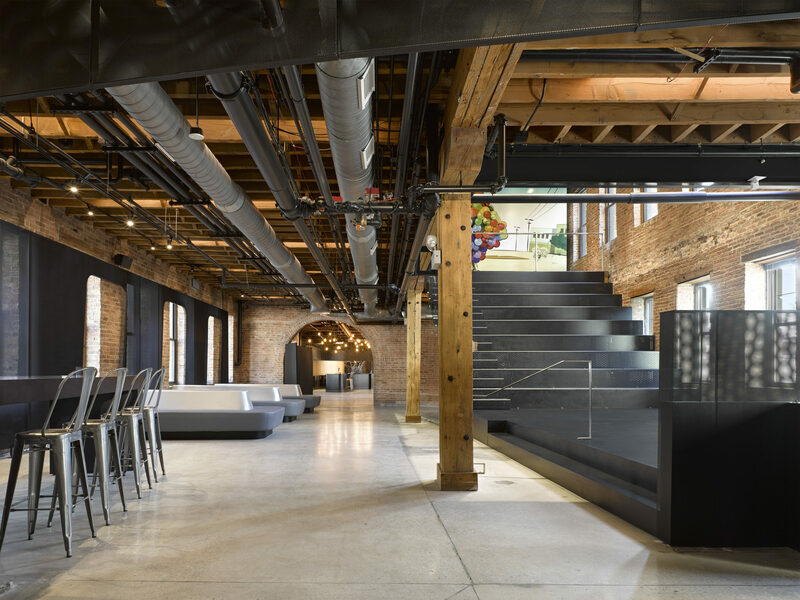 Breaking through the two floors allows for light to flood the space and creates a feeling of transparency and enhances spatial flow and connectivity between the floors. 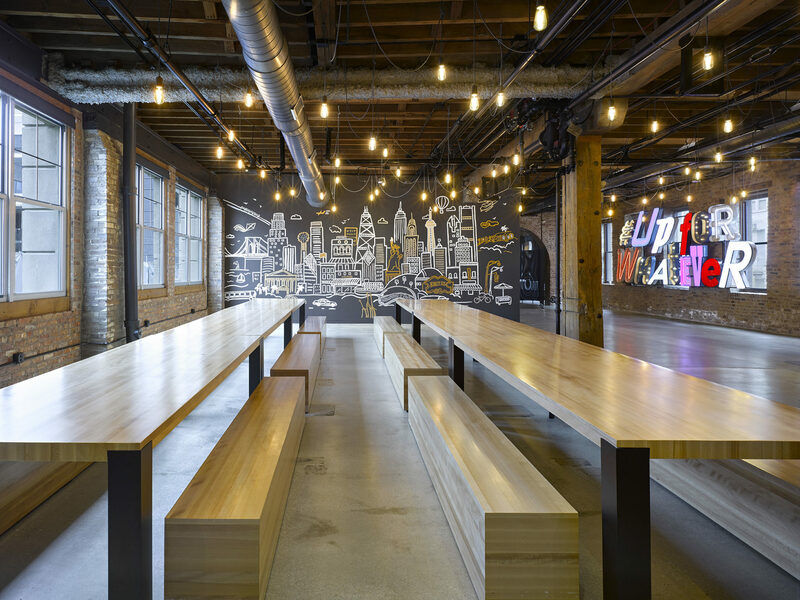 Beyond the bleacher stairs, a communal hall contains custom tables and benches, servery and platform for presentations and other events. 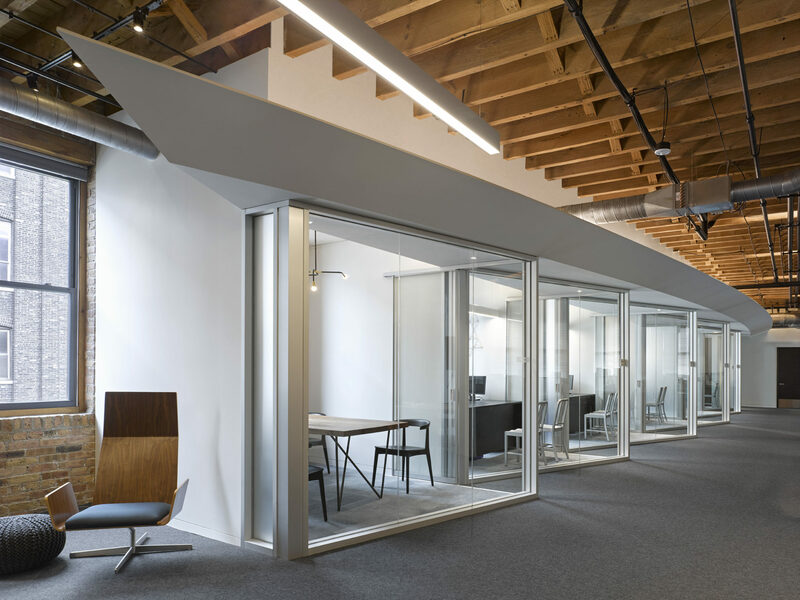 A prominent feature of the space is the metal mesh screens – ethereal architectural elements intended to envelope space and define movement. Even the grand stair/bleacher seating is perforated to allow light and view. 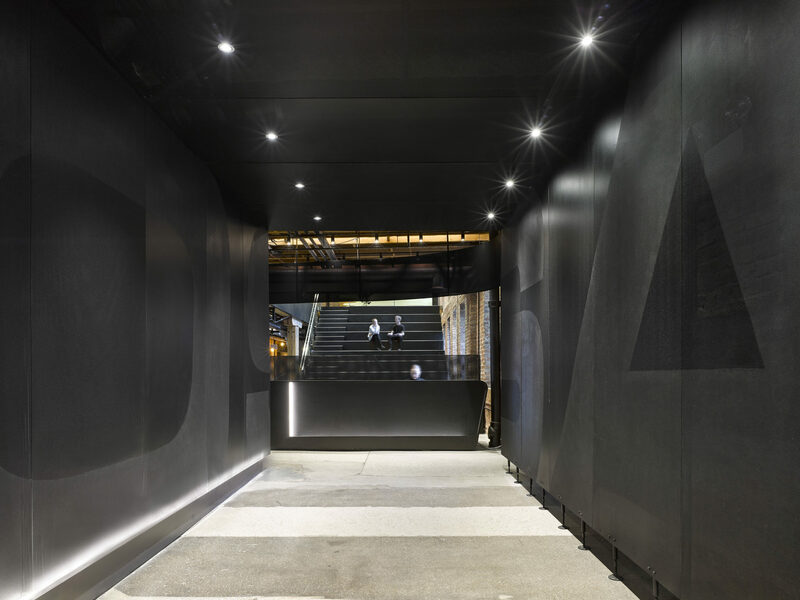 The concept behind the perforated screens is to represent, in physical form, Mosaic’s ethos and unique brand of transparency and community.